Selected hand picked green lettuce, bell peppers olives, avocado, grapes, cucumbers, coffee balsamic dressing. Chicken parfait, liver pate & beetroot mousse enhanced with chicken jam. 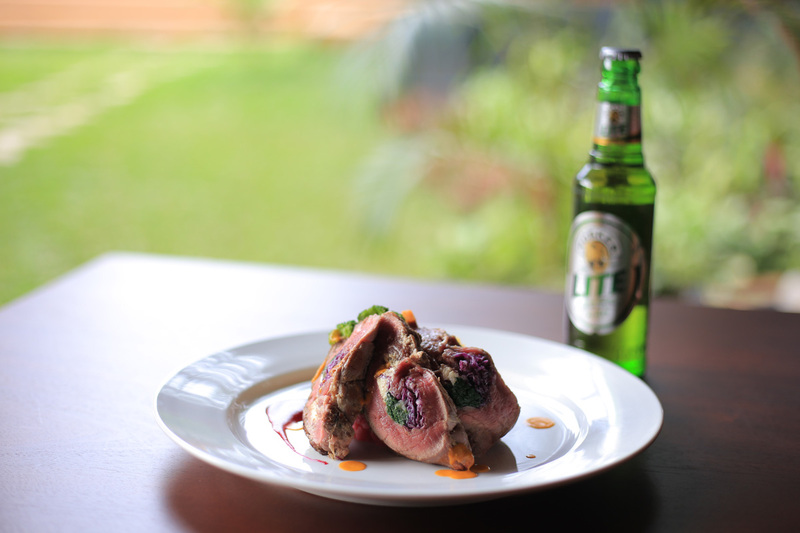 Selected aged loin of Ugandan highland beef tenderloin filet stuffed with Chinese cabbage spinach & ricotta cheese served with rainbow mash & rustica sauce. Baked tilapia fillet from the fresh waters of Lake Victoria served with jacket potato and artichoke sauce. 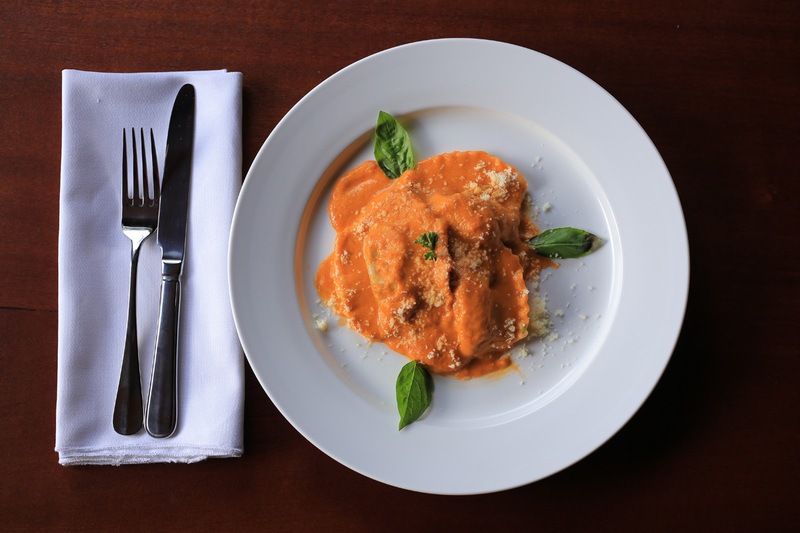 Spinach, mushroom ravioli in creamy tomato herbed sauce.